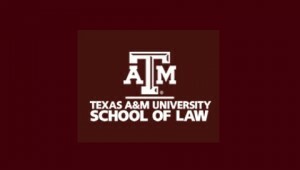 The Real Property Law Schmooze is an invitation-only event hosted by the Program in Real Estate and Community Development Law at Texas A&M School of Law. The 2019 “Where Do We Go from Here? Fair Housing and Community Development at a Crossroads” Schmooze invites 20 legal scholars with expertise in either fair housing law, urban and rural property law, and/or community development law to present unpublished works-in-progress or early-stage ideas. In the wake of the 50th Anniversary of the Fair Housing Act, and as federal support for fair housing, affordable housing, and community development dwindles, we hope the papers might loosely relate to strategies that can help the fair housing and community development fields bridge longstanding conflicts and come together during this critical time. Vicki L. Been, the Boxer Family Professor of Law at NYU Law School, Affiliated Professor of Public Policy of the NYU’s Robert F. Wagner Graduate School of Public Service, Faculty Director at the NYU Furman Center, and Former Commissioner of Housing Preservation and Development for the City of New York, will be the Program in Real Estate and Community Development Law’s Distinguished Real Property Law Keynote Speaker on February 1, 2019. Her talk is open to the entire law school, including all first-year Property Law students, as it is also co-sponsored by the Texas A&M University School of Law’s Faculty Speaker Series. Professor Been will also participate in the Schmooze. Learn more about the Schmooze on the website.